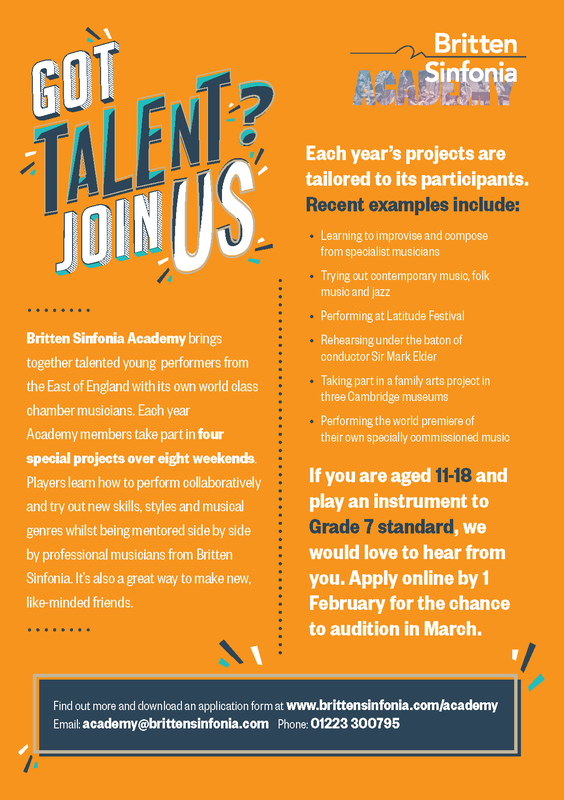 Britten Sinfonia are currently recruiting for young musicians to apply to become members of Britten Sinfonia Academy and for composers to join our Composer Hub for the 2019-20 season. Britten Sinfonia Academy (BSA) is a high level chamber ensemble for talented secondary school aged musicians from the across the east of England. Each year Academy members take part in four special projects over eight weekends, learning how to perform collaboratively and trying out new skills, styles and musical genres whilst being mentored side by side by Britten Sinfonia players. The Academy have performed at the Barbican Centre, Saffron Hall, Latitude Festival, Cambridge’s Fitzwilliam Museum, Jesus College and West Road Concert Hall, Walthamstow Garden Party, and Norwich’s St Andrew’s Hall. Each year’s projects are tailored to its participants. BSA have acted in museums, improvised with laptop artists, led family workshops, performed at festivals and premiered a number of new works. 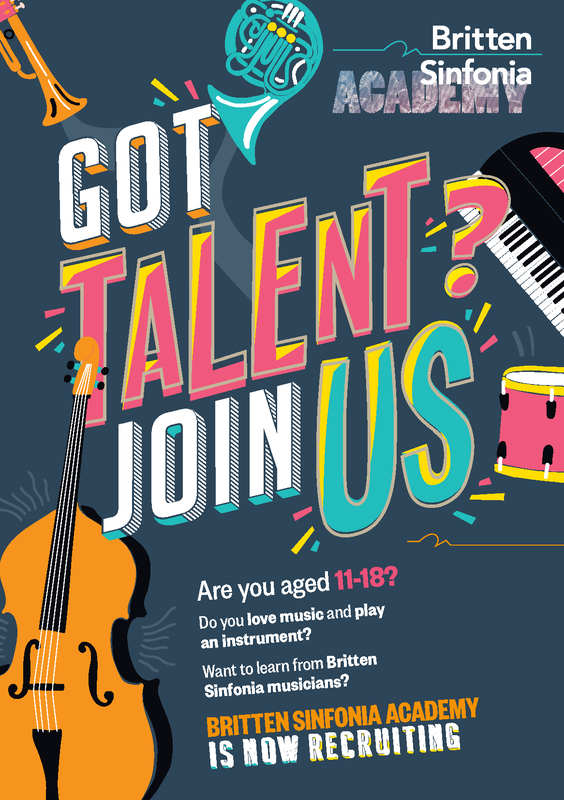 Britten Sinfonia also runs a Composer Hub alongside the Academy for budding young composers. Participants develop their creative, technical and stylistic skills through a programme of tailored compositional briefs, mentoring from renowned professionals, rehearsals, recordings and public performance opportunities. To apply you must submit a completed online application form by 5pm on Friday 1 February 2019. For full details on the program please visit brittensinfonia.com/creative-learning.